I have wanted to run a book group for a while, but was not sure how to run one. Today, I took the plunge. Starting next Tuesday, I will hold my very first meeting. 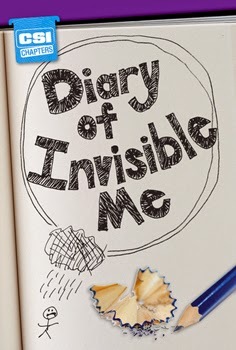 We will be using the book, Diary Of Invisible Me by Rebecca McEwen. I have 8 copies and thought I would have the students take turns and read it. I will have 6 girls join me from their study hall. I believe it will take 2-3 weeks to complete it. The book is short; only 32 pages, but the message about bullying is a good one. I made the invitations above and will hand them out during lunch tomorrow. 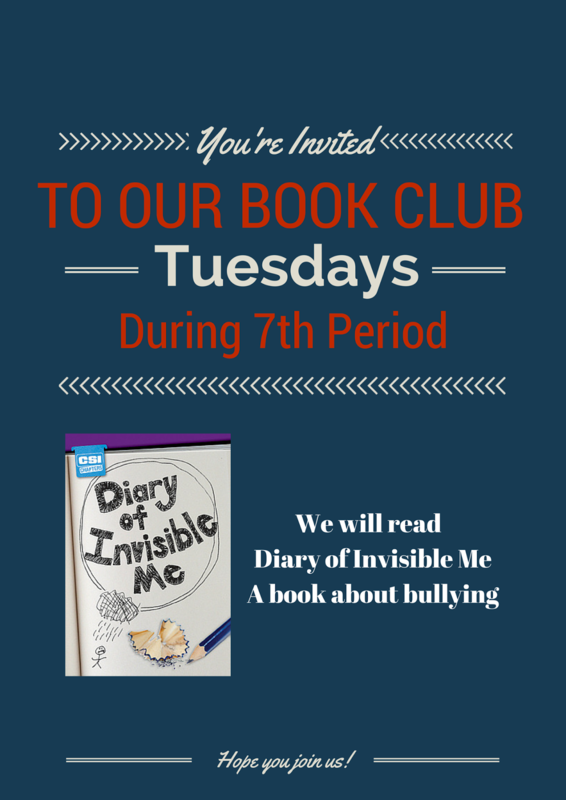 In addition to talking about bullying, I am hoping that this group allows some of my quietest and shyest girls to feel comfortable in a group to share and read aloud. One of my biggest goals is to get them talking. Also be sure to pre-read the book. You don't want to be caught off-guard if there are curse words or mature content that you weren't expecting. In the meantime, let me know if you have done a book group and what books you have read. cũng khiến cho Gia tộc của Đoạn Vân lớn mạnh lên không ít. đang chìm đắm trong suy tư.